This open bookcase from gives a very powerful feel to any room. Each of the four shelves is constructed from solid mango wood and have a light finish to showcase the variations in the wood. 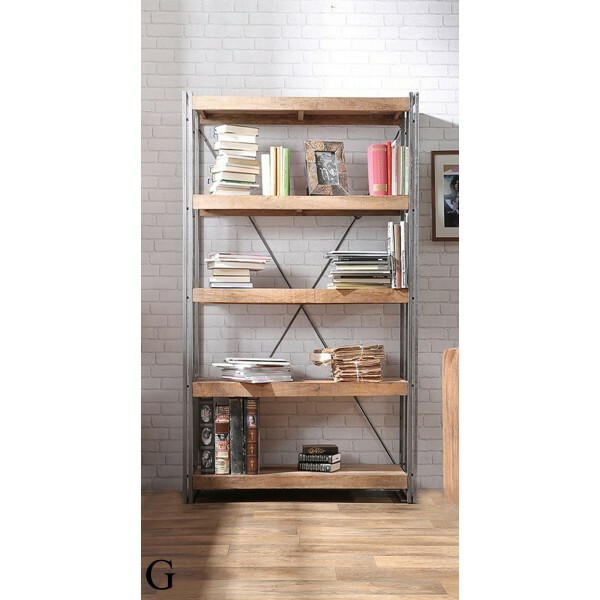 The shelves are set in a sturdy metal base that provides balance and reinforces the shelf. This shelf would look great in your office showcasing the awards of your team or your art sculpture collection.